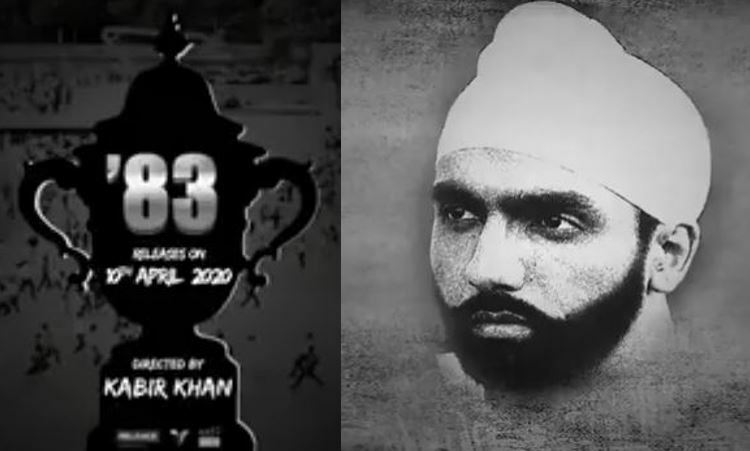 As you know the Energetic Bollywood Heartthrob Ranveer Singh is all excited to Play Cricketer Kapil Dev in director Kabir Khan’s upcoming film 83, Here is the Announcement of the Release Date of 83 The Film and also the co-star has been revealed. Ammy Virk will play Balwinder Singh Sandhu in 83 The Film. It’s been confirmed officially. Balwinder Singh is the Bowler who swung 83 World Cup India’s Way, The Singh who was a King Both On and Off the field. The On Screen Balwinder will be Played by the multi talented Punjabi actor Ammy Virk. He is considered one of the best Punjabi Singers and actors, both critically and commercially. A few days back we have revealed to you How Ranveer Singh Started the Practice Session for Filming. 83 The film is the first collaboration of Ranveer Singh and director Kabir Khan. The Entire Star Cast of the film to be revealed very soon. 83 The film is Directed by Kabir Khan, Presented by Reliance Entertainment, Produced by Madhu Mantena, Vishnu Induri and Kabir Khan. 83 Film scheduled to release on 10th April 2020.